Hayden from Disney World on a Budget is our newest guest blogger here at Disneyways and we are so thrilled to have her with us! Have you ever been at Walt Disney World with a baby or toddler and wondered which rides they would enjoy the most? Hayden has some great suggestions to share! 10. 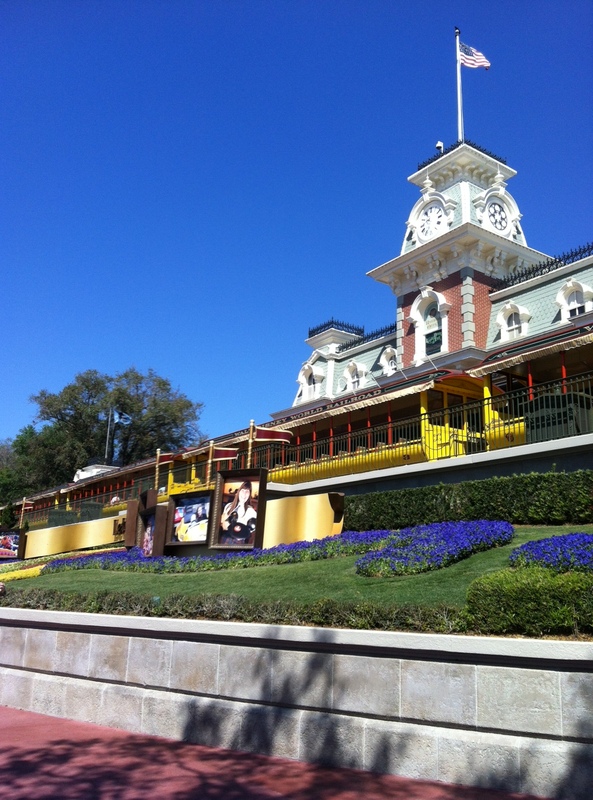 Walt Disney World Railroad–this is a great ride to save for the end of the day when you’re tired of walking. I recommend riding the railroad from Fantasyland station to Main Street Station. This twenty minute scenic ride is a great way to see the park. Also a great to spot to nurse a baby. 9. 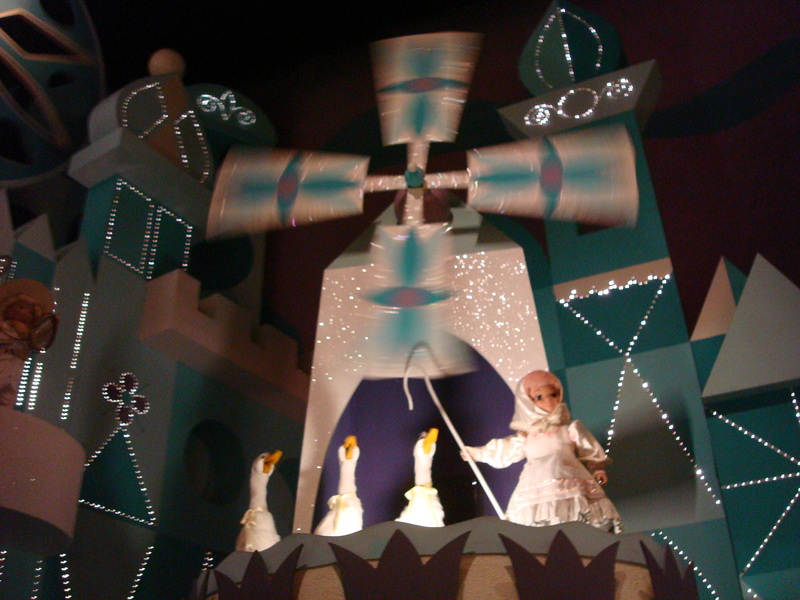 It’s A Small World—this is such a fun ride for children of all ages. Hop in a boat for a leisure ride throughout the different countries, the music entertains my kids and they are left singing the song for days afterwards. 8. Jungle Cruise–this is such a classic Disney ride, I remember riding this back in 1988 when I was just a child. The Jungle boat takes you on a fun ride throughout the jungle where you will see elephants, tribal natives, giraffes and even a waterfall. 7. Tom Sawyer Island–A great place to explore, get away from the crowds and let your little ones run! Tom Sawyer Island is also a great spot to have a picnic, there are picnic tables on the island and a small playground. There are also bathrooms and water fountains. *It is hard to push a stroller on the island as there are many caves, steps, etc. so I recommend using a baby carrier. 6. Prince Charming Regal Carousel–This is a great photo op and a must do for children of all ages. Parents can stand and hold their children (there are buckles) and parents can even ride too. 5. 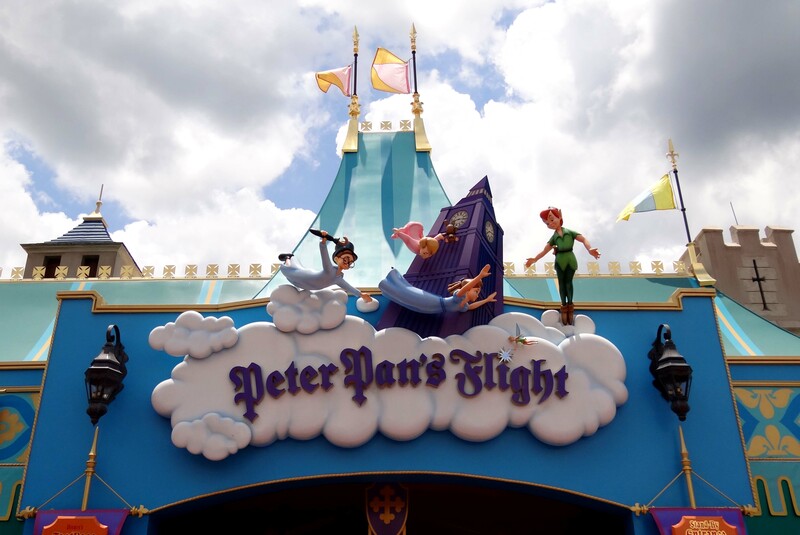 Peter Pan’s Flight–The wait is usually long for this ride so I suggest getting a fast pass. Peter Pan’s flight is a quick ride so don’t blink or you will miss it! It is worth the wait in my opinion, kids will feel like they are flying while riding this cute little iconic ride that tells the story of Peter Pan. 3. Magic Carpets of Aladdin–The carpets will seat 2 to 3 children per row, there are 2 rows per carpet. Our family takes up 1 whole carpet and I recommend having a parent sit in the front carpet so you can turn around and take your children’s picture on the carpet 🙂 You can control the carpet and make it go up high or down low. The children get a kick out of this. You might even get a spray of water from the camels! 2. Dumbo–The ride has been much improved with the new Fantasyland expansion and now the wait time has been cut in half. There is no height restriction on this ride and even my littlest one was able to ride at only 11 months old (of course a parent must hold little ones). Each Dumbo flies high in the sky for just a few minutes but this is such a classic Disney ride that children of all ages love it. 1. Buzz Lightyear Space Ranger Spin–This ride can be a little scary if your child is afraid of the dark, however, it is so much fun. Children really love the bright lights (neon) and the ability to shoot a lazer gun is the highlight of the ride for my children. You can control whether or not your spaceship spin’s around too which is neat. The wait times can be rather long for this ride, try to grab a fast pass and while waiting go and meet Buzz himself – he is usually right outside of the ride area. ← World Secrets: What’s with the Big Green Dino at Hollywood Studios? From my HTC Sensation 4G on T-Mobile. The first nationwide 4G ne. twork ., . Peter Pan’s Flight is actually one of my must-do favorite rides in the Disney Parks. I love it with or without the kids!